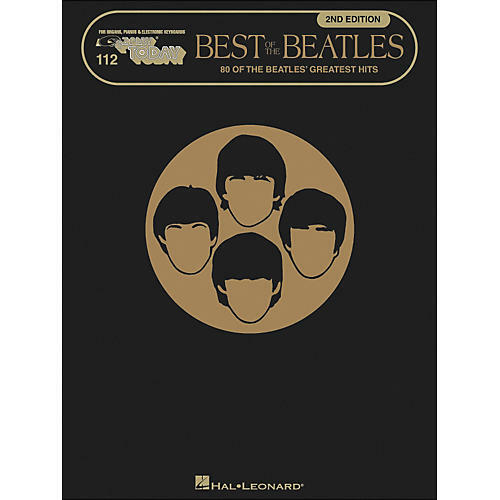 80 of the greatest from the Fab Four, made easy!Titles: All My Loving • Because • Blackbird • Good Day Sunshine • Hello, Goodbye • Hey Jude • If I Fell • Let It Be • Michelle • Norwegian Wood • Penny Lane • Something • Taxman • Yesterday • scores more! 80 of the greatest from the Fab Four, made easy! Titles: All My Loving • Because • Blackbird • Good Day Sunshine • Hello, Goodbye • Hey Jude • If I Fell • Let It Be • Michelle • Norwegian Wood • Penny Lane • Something • Taxman • Yesterday • scores more!